Lisbon is a city that has attracted TV chefs and personalities from all over the world. The late Anthony Bourdain was probably the first personality to really put Lisbon on the map, and since then he’s been joined by the likes of British TV chef Rick Stein and now Phil Rosenthal. You may not have heard of Phil Rosenthal, but you’ll probably be familiar with his work: Everybody Loves Raymond. Phil wrote the show, which ran for 9 seasons and made Ray Romano a household name. It has been syndicated and even been adapted for international markets like Poland, Egypt, the UK, India, Czech Republic, Israel, and Russia. The Russian adaptation is also the subject of an amusing documentary Phil also produced called Exporting Raymond, where Phil tries to work with a Russian TV studio to adapt Raymond for Russian audiences. But his newest project is Somebody Feed Phil, a show where he goes around the world eating what even he can find, and, naturally, he has to stop in Lisbon to sample Portuguese food. The Netflix show features two entertaining characters that were also a popular feature in Exporting Raymond, Phil’s parents, and they Skype in from time to time. Phil himself is pretty entertaining as well, and he has a really infectious passion for both food and travel. He really takes a stab at speaking Portuguese as well, which is something a lot of people are afraid to try. Phil managed to visit an impressive number of places around Lisbon. If you want to follow his itinerary, or just visit a couple of the places that he visited, you’ll find them all listed below. 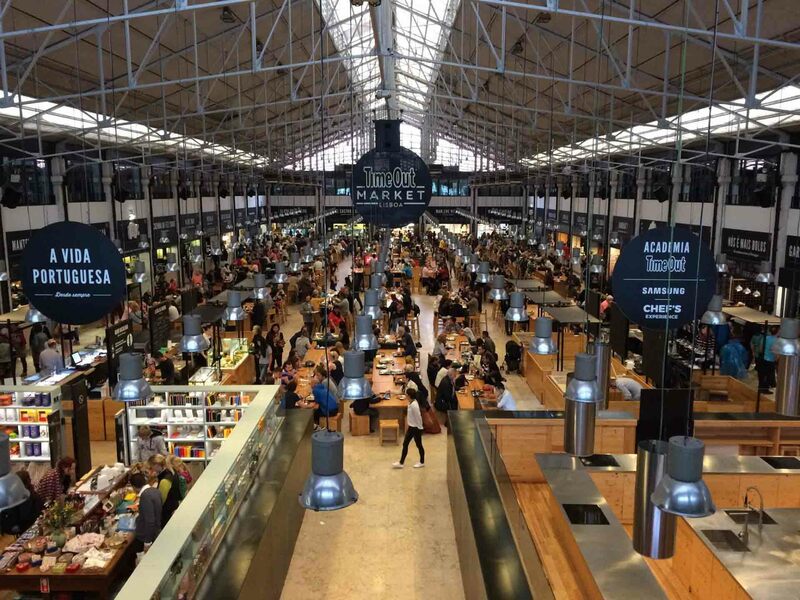 First stop is a pastel de nata at Manteigaria which is located in the Time Out Market inside the Mercado da Ribeira. This bakery is one of the best places in Lisbon to get a pastel de nata, and a definite must-visit when you come to Lisbon. Next, Phil has a wander around the Time Out Market and samples a few of the different foods on offer Here he tries pastel de bacalhau, which is made from Portugal’s favourite fish and an Asian beef dish. Conserveira de Lisboa is a shop that specialises entirely in tinned foods. The shop has been running in Lisbon for more than 80 years and, recently, opened up a stall inside the Time Out Market. You can also visit the shop’s original location and more traditional premises at Rua dos Bacalhoeiros 34, 1100-321 Lisboa. Next Phil takes a ride in the Santa Justa Elevator, a 19th-century elevator that takes you from Baixa-Chiado up to Largo de Carmo next to the ruins of the Carmo Monastery. Belcanto is one of Lisbon’s most popular Michelin-star restaurants, and it was the first restaurant in Lisbon to be awarded 2 Michelin stars. The restaurant is run José Avillez, and it serves modern takes on traditional Portuguese dishes. Next, Phil takes a sidecar tour of Lisbon’s narrow, cobbled streets. It’s just one of many ways to get around Lisbon and, if you want to do the same, you can book these tours on Get Your Guide or directly through Bike My Side. Phil takes a break from his sidecar ride to stop at one of Lisbon’s many quiosques. You’ll find these quiosques all over Lisbon, and they’re a fantastic place to stop for a coffee or something stronger. Next Phil heads across the river to Ponto Final in Almada, which has to have some of the most precariously-placed restaurant seating in the world. There he has gambas com piri-piri (piri-piri prawns), sardinhas assadas (grilled sardines), and what looks like an arroz de tamboril (monkfish rice). Pastéis de Belém is next on Phil’s itinerary. This is one of Lisbon’s most famous eateries, and the bakery credited with first selling pastéis de nata. It’s a must visit on any foodie tour of Lisbon, even if that does mean braving crowds of hundreds of other tourists. Next stop is Jesus é Goês, a tiny 12-seat Goan restaurant that’s located just a few streets away from Avenida da Liberdade. Goa was a Portuguese colony for many years, and the food combines flavours and ingredients that are synonymous with India with some that come from Portugal. 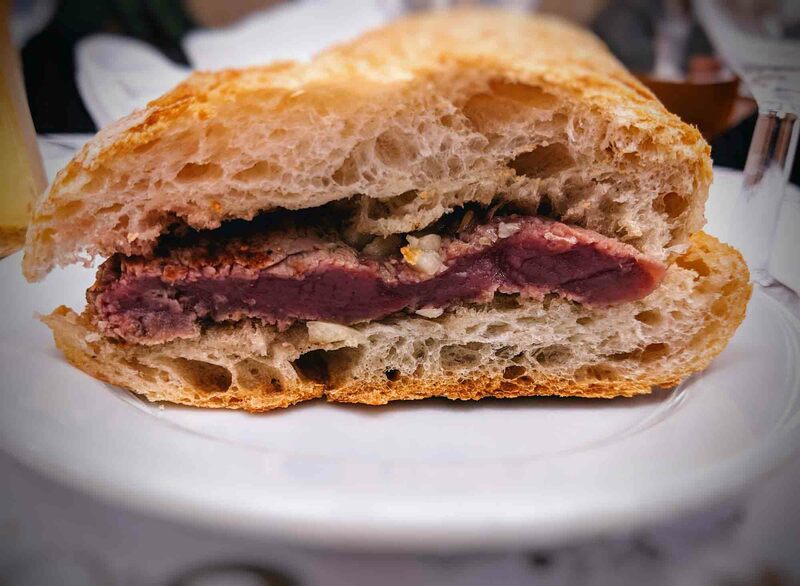 Next Phil heads to Manteigaria Silva near Rossio where he’s joined by Célia Pedroso, a food writer and Lisbon tour guide. There they try Portuguese meats, cheeses, and Port wine. 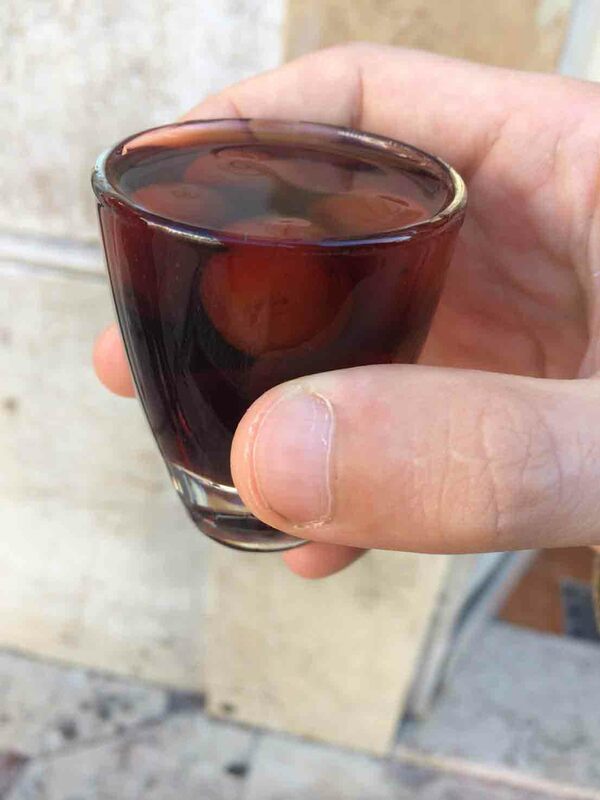 Ginjinha Sem Rival is one of Lisbon’s most popular ginjinha houses, and it’s here that Phil and Célia head next for a glass (or two) of Lisbon’s famous sour cherry liquer. Cervejaria Ramiro is no stranger to TV crews, having hosted both Anthony Bourdain and Rick Stein when they came to town. Here, Phil and his team sample all kinds of interesting things from under the sea and, of course, finish up with a prego sandwich for dessert. Tram 28 is one of Lisbon’s most beautiful tram routes, and it looks idyllic in the show. Unfortunately, it has also become one of Lisbon’s most popular tourist attractions and is often full to the brim. 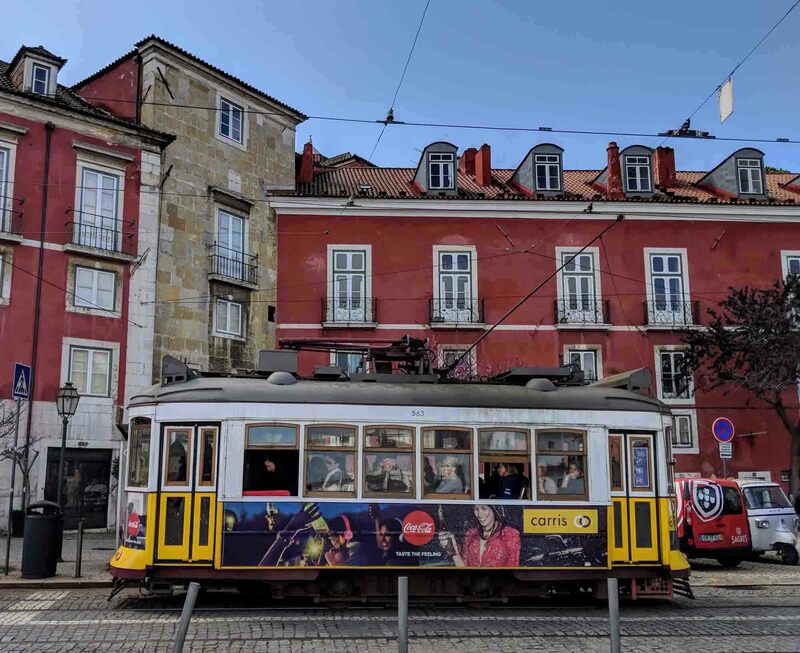 If you see an empty-ish Tram 28 going by, it’s definitely worth getting on but this is going to be rare: there are often queues of several hundred tourists down at Praça Martim Moniz. Next stop is one of Lisbon’s most popular gelato makers at Nannarella Gelati alla Romana. While they’re there, they’re also joined by Allesandro from the nearby pizzeria La Pizza di Nanna. Keeping things international, Phil took another pit stop over at Wurst. Here you can try all kinds of Austrian sausages including Kaskrainers, Frankfurters, Leberkas sausages. They even have a few vegetarian options as well. Taking a break from Lisbon’s food scene, Phil headed out to the nearby picturesque town of Sintra where he visited Pena Palace. While Lisbon has pastéis de nata, Sintra has Travesseiros. They’re one of Portugal’s best cakes, and a must-try if you take a trip to Sintra. Henrique Sá Pessoa’s Alma, which means soul in Portuguese, is a 1-Michelin star restaurant, and one of the most popular fine-dining restaurants in Lisbon. There Phil tries a modern take on bacalhau, as well as a delicious hazelnut dessert. There are a few shots of “Pink Street” in Cais do Sodré before the episode heads to its final venue, Café Luso, where Phil gets a taste of Fado.